We are one of the biggest hall manufacturers in Europe. We offer 78 types and 308 versions of halls, with a built-up area from 10 m2 to 5,000 m2. We are the only manufacturer of self-supporting halls without propping up to a width of 56 m. You can choose from 202 colours and 121,204 colour combinations. Storage and production halls in widths 10 – 36 m with large entry gates for trucks. 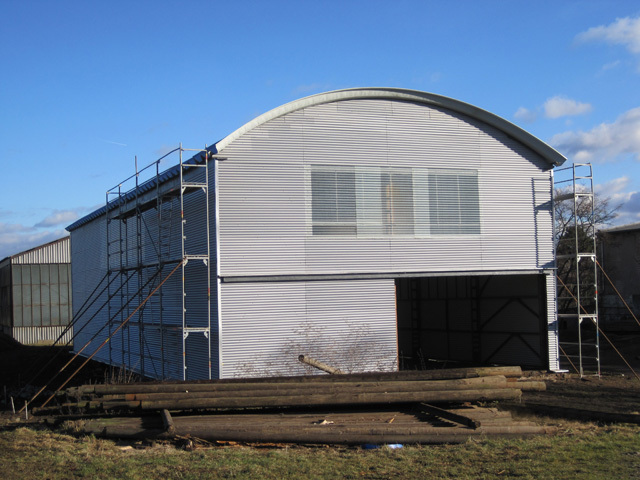 One floor sports hall constructed from self-supporting arched ribs, with insulation 10 to 30cm. Modern multifunctional sports hall with ample support space. Multifunctional sports hall with stands and two story support space. Selfsupporting arched hangers and roofed spaces for small and mid-size planes with a wing span of up to 34 m. Possibility of opening the whole front gable of the hall to move the planes. 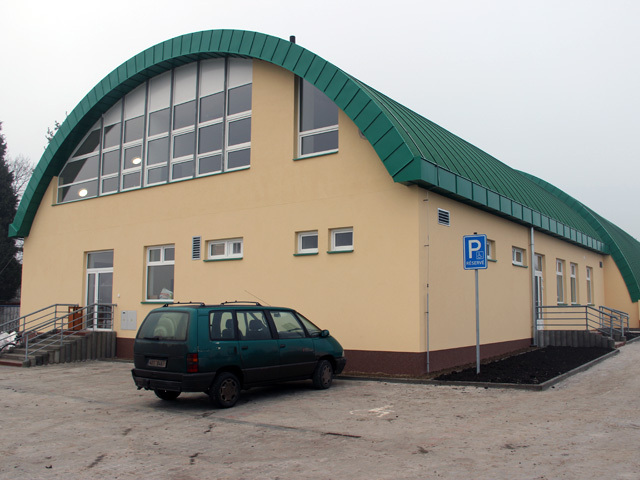 Assembled arched halls are buildings constructed using K-SPAN system and are suitable for production halls, storage and administrative spaces, sport halls, recreational facilities, shops and supermarkets, car showrooms, gyms, agricultural buildings, shelters and barns for animals, gardening shops, aircraft hangars, army buildings and many other commercial, sport and recreational activities. We achieve unusually low costs thanks to great flexibility of the whole building process and unrivalled speed of production and assembly. We are the only company building both the arched halls and producing the machine which makes the arches from a material up to 1,5 mm thick. 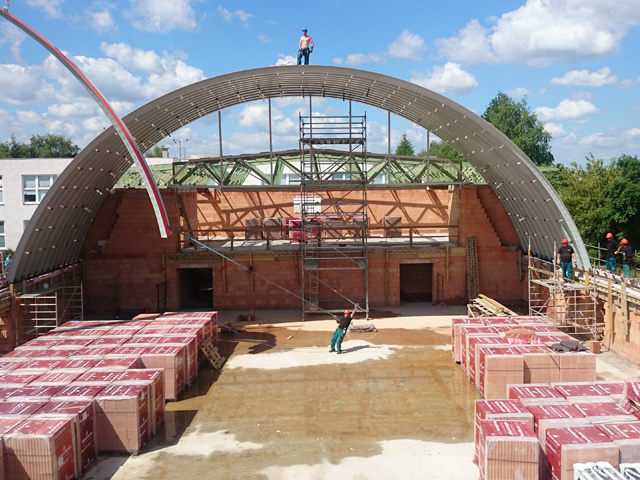 One of the characteristics of our arched halls is the simplicity of the pre-building preparations. Production halls, storage rooms, office and administration spaces, athletic halls, agricultural buildings, airplane hangars and others. Insulation, ventilation, end walls, portals and doors, light, upper floor. Long life of the arched hall, maintenance-free use and minimal running costs. We have a long standing experience with application process and using the grants. Quality technical facility and new equipment. Production in a factory hall or directly on the building site. Useful information can also be found in the frequently asked questions section. How to choose an arched hall? What are the choices of the arched hall? How to go about preparing an arched hall project? 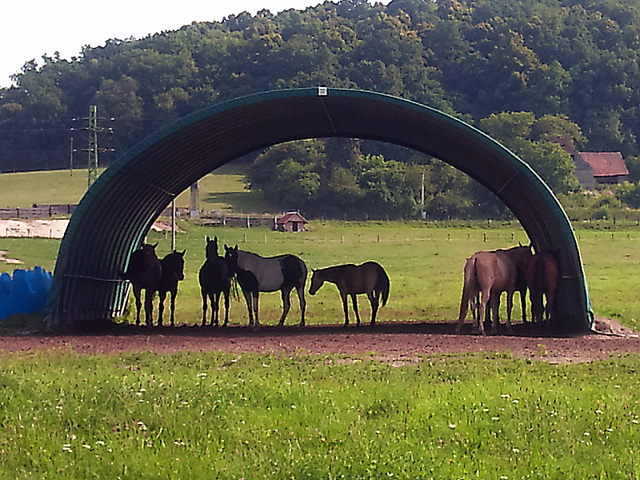 How to begin building an arched hall? How to found the arched hall? How to lighten up arched hall with daylight? How to insulate arched hall? How to ventilate an arched hall? How to make an entry into an hall from its side, through the arch? How to join two parallel standing halls to become one complex? How to finance building of an arched hall? How to get a grant for building an arched hall?